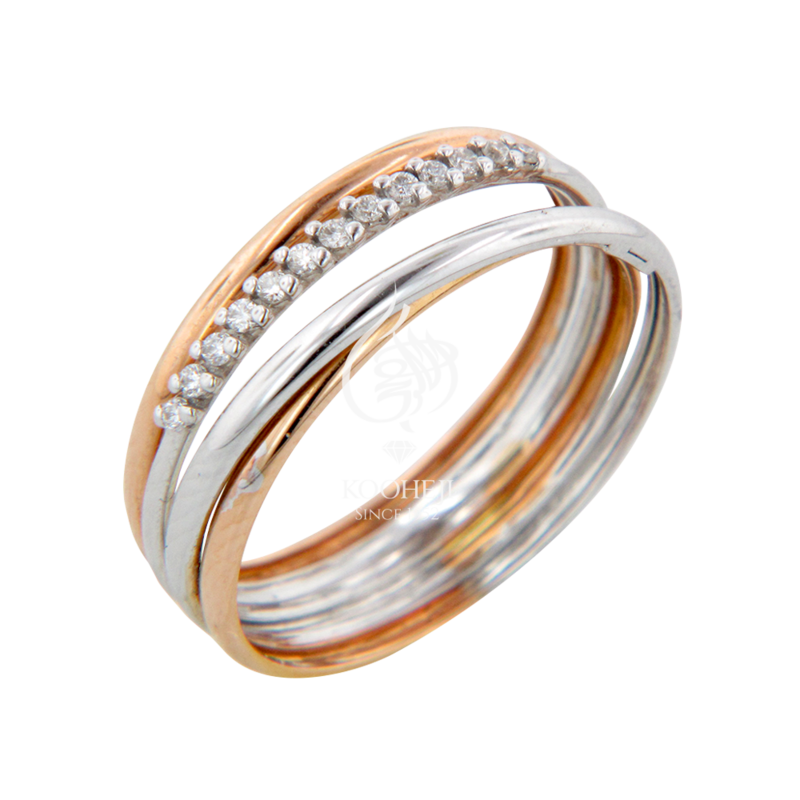 Classic yellow and white gold ring with a modern spirit and attractive designs; studded with pieces of pure diamonds. Specially designed for the lady who wants to express herself as classical and elegant. It has an attractive modern look that makes the wearer distinctive in every day.